West Genesee Schools | Camillus NY Homes | 4 Bedroom - Contact Richard Gordon at 315-882-3332 for more information about this home located in Camillus, New York. Camillus, NY Neighborhood - This quality built brick 4 bedroom, 3.5 bath Colonial is located in the West Genesee School district and close to shopping, parks, and major highways. First Floor - The first floor features a large formal living and dining room with hardwoods, a spacious eat-in kitchen, an expansive family room with a fireplace, a bright sun room, and a half bath. Second Floor - The second floor provides a master bedroom and bath, 3 other good sized bedrooms, and another full bath. The finished basement offers a second kitchen, a family room, and a full bath. Basement Features - The finished basement offers a second kitchen, a family room, and a full bath. 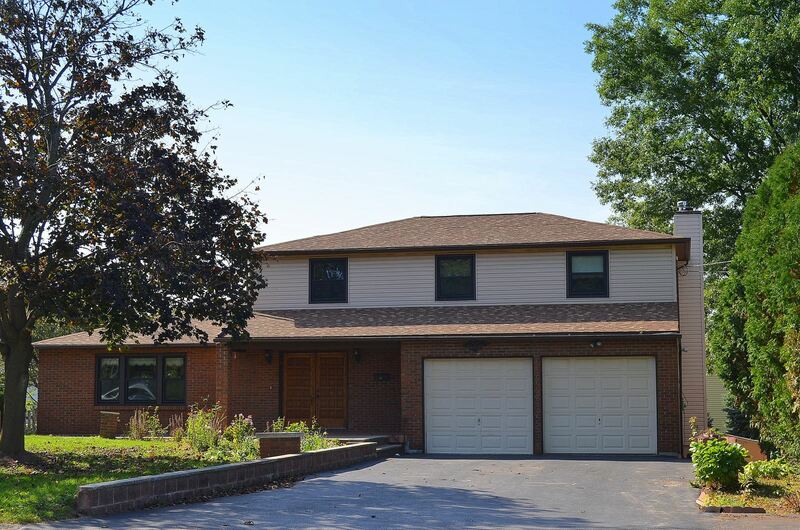 Exterior - The exterior features a partially fenced yard and a 2 car garage.